Custom jewelry: Create what you imagine. Our custom process is about delighting and honoring you or your loved one, down to the details. We invite you to share your ideas, your vision, and your story. We’re here to offer our expertise and artistry, but this is about the person who will wear the piece. Our calling is bringing your idea—whether a glimmer of a vision or a full-fledged design—to life. Love a family heirloom again. One of our specialties is incorporating heirloom pieces into new pieces. Show off a family jewel, or conceal the band of a vintage ring on the inside of your new ring—the possibilities are endless. Feel good about ethical custom jewelry. Meet with us over a cup of coffee or tea, where we’ll begin by asking a lot of good questions about you, or the intended wearer. Our initial meeting is about more than taste and style—it ensures that we’re building a piece that fits a real life, including the wearer’s hobbies, work and play. Within 2 business days of your consultation, you’ll have a complete design, bid, and timeframe. 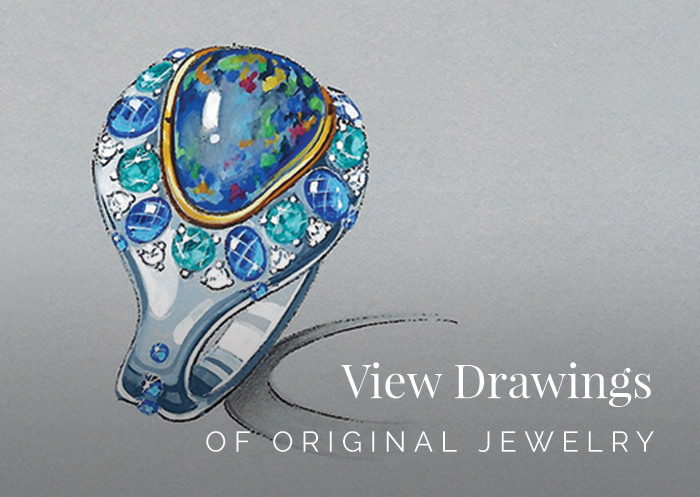 (Often, we’re able to show you a sketch or idea during your consultation). From here, we can adjust until you’re ready for us to craft your jewelry. Step 3: Delight in your Jewelry. We’ll spend the next few weeks sourcing gems and handcrafting your jewelry (or months, for truly complex pieces). Once your jewelry is finished, you are welcome to pick it up personally, or have it shipped to you overnight via insured FedEx or UPS. 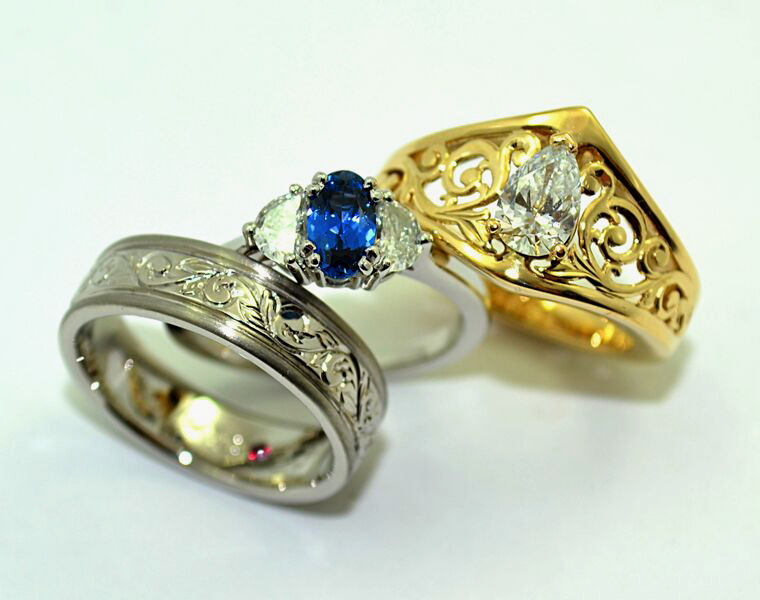 Then, consider us your lifetime jeweler, available to take care of your jewelry for generations. Find the rarest gems and design the most exquisite jewelry. 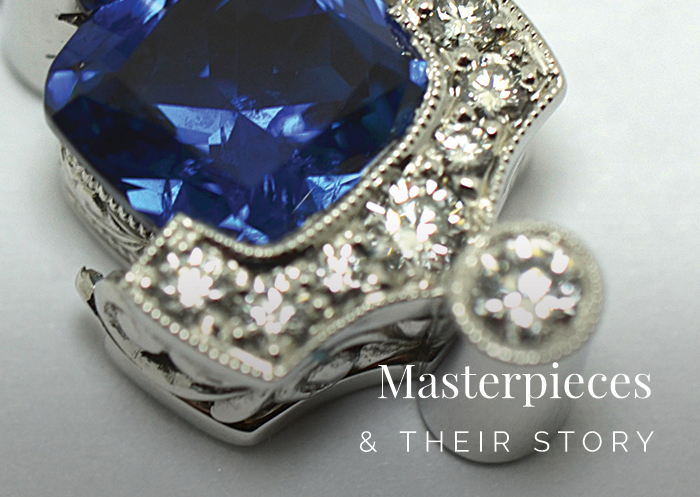 For the highest of high-end stones and pieces, rely on the expertise and knowledge of owner Elichai Fowler.